Let’s be honest getting into a freshly detailed car is a wonderful feeling! The look, smell, and feel all hit you at the same time and say dang this person takes care of their stuff. Keeping your car clean can be a chore. A lot of times people just don’t have to time to stay on top of it. Cars quickly become dirty, smelling, and gross without the proper attention spent keeping them clean. So if you are looking for some great ideas to keep your car looking fresh and clean for months to come, look no further. Below I have found some of the best car cleaning hacks on the internet. These are so simple and easy to do everyone will have time to do them. Is there any car cleaning hack we missed? Follow our clean & organized Pinterest board for more ideas! 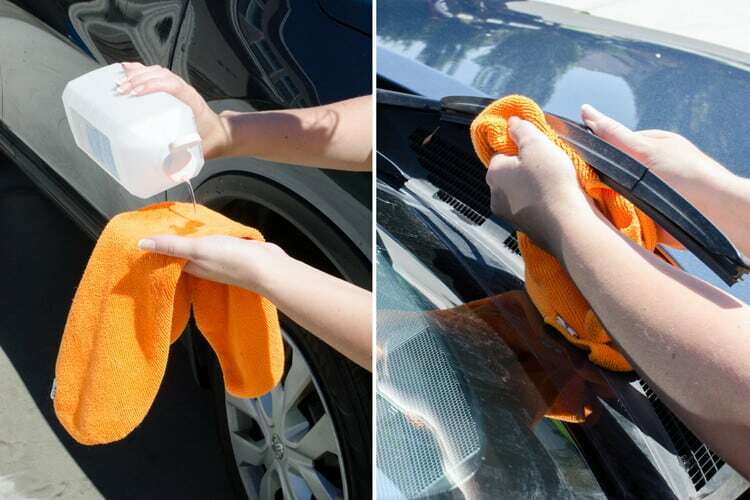 There is a reason this car cleaning hack is first on our list. When is the last time you changed out your cabin air filter in your car? I bet the answer is either “never” or “wait my car has a cabin filter”. These should be replaced at least every other year if not more often. An old filter will cause your car to smell musty and gross. You can purchase a cheap replacement right on Amazon. Sounds simple, but often overlooked. Pull out all your floor mats, move your seats back, and start sucking up all the garbage left in your car. Vacuuming more than once a year will make it much less of a chore. An absolutely genius hack to take care of all the hard to reach areas. 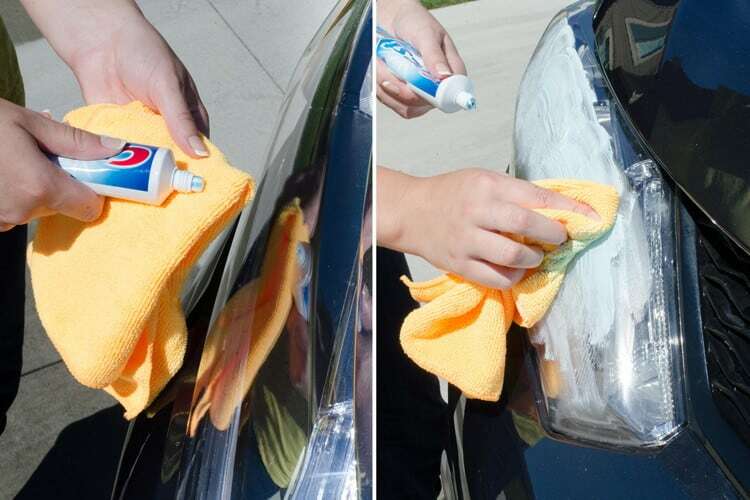 It’s these simple hacks that will make your car literally look brand new. Perfect for the dash and climate control buttons! Have you ever used wax for your car? It can be very expensive and time-consuming to apply. A great cheap alternative is using hair conditioner. Most hair conditioners contain lanolin, which is a type of wax. Cheaper and easier to apply to make your car shine and stay protected. For the pet lovers out there (includes us) this hack is for you! Grab a simple squeegee and spray bottle and your pet hair will be removed faster than you ever thought possible. Pure genius! Grab a cheap squeegee here. 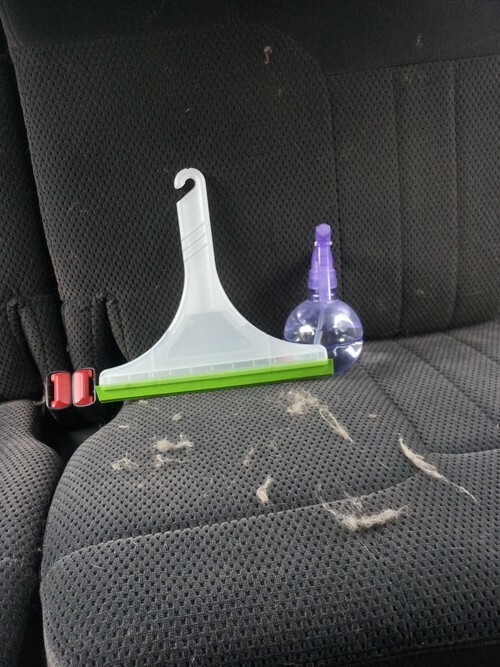 Another super simple car cleaning hack from Krazy Coupon Lady. 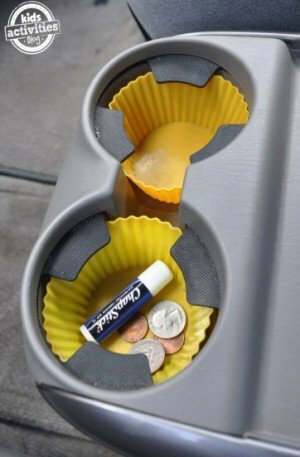 Her idea to use coffee filters for the interior of your car is perfect! Coffee filters are lint free and don’t leave any trace when wiping things with them. Perfect for dusting everything down. Some places are VERY difficult to reach and get clean in your car. For all of the nooks and cranny’s use a screwdriver and cloth. 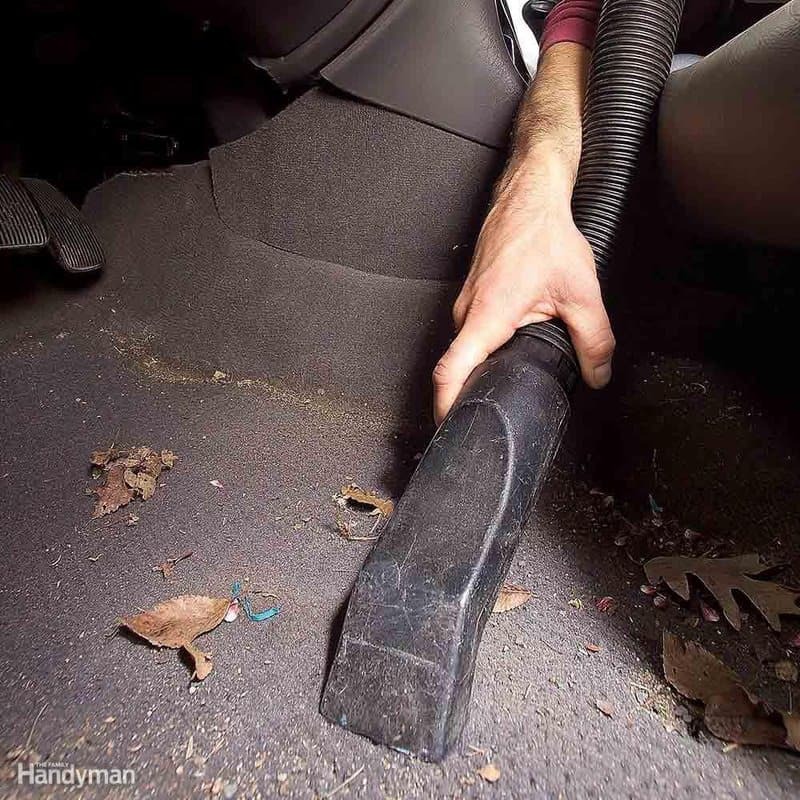 This simple trick makes cleaning every crevasse of your car a breeze. Use an old rag or cotton ball to apply rubbing alcohol to your window wipers. There is nothing worse than trying to drive at night in the rain when your window wipers are not cleaning your window off properly. More than just a cleaning hack, a safety hack. The grim at the top of the windows is missed often when cleaning your car. 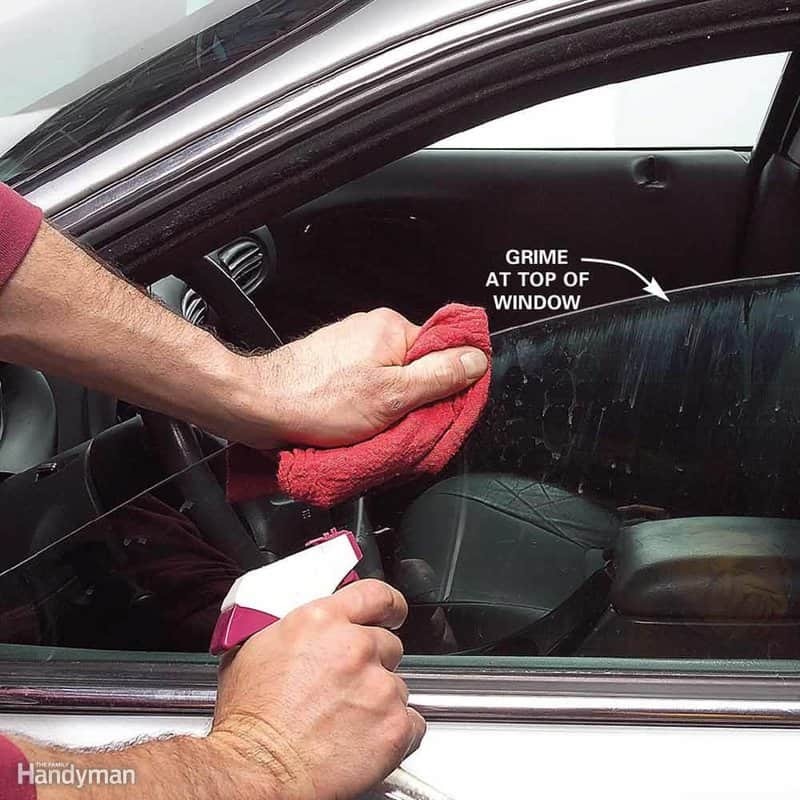 The next time you plan on cleaning your car make sure you lower the windows and give the top edge a nice thorough cleaning. Most states require you to place your registration in your front window. Over time those stickers become sloppy and become very hard to remove. 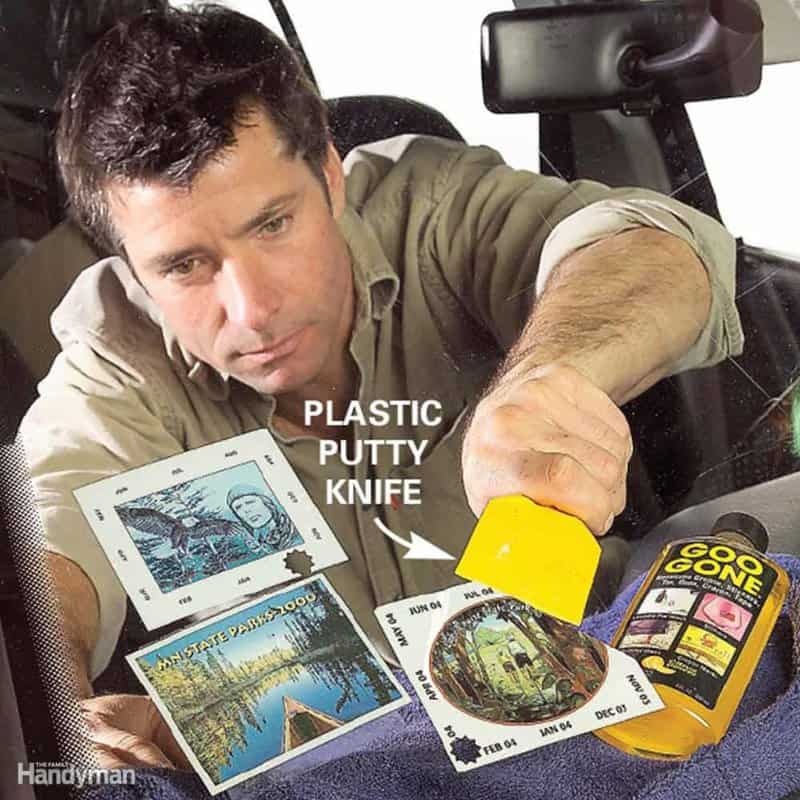 Grab yourself a plastic putty knife to remove them as clean as possible. After the stickers are removed, a little Windex should do the trick with anything remaining. 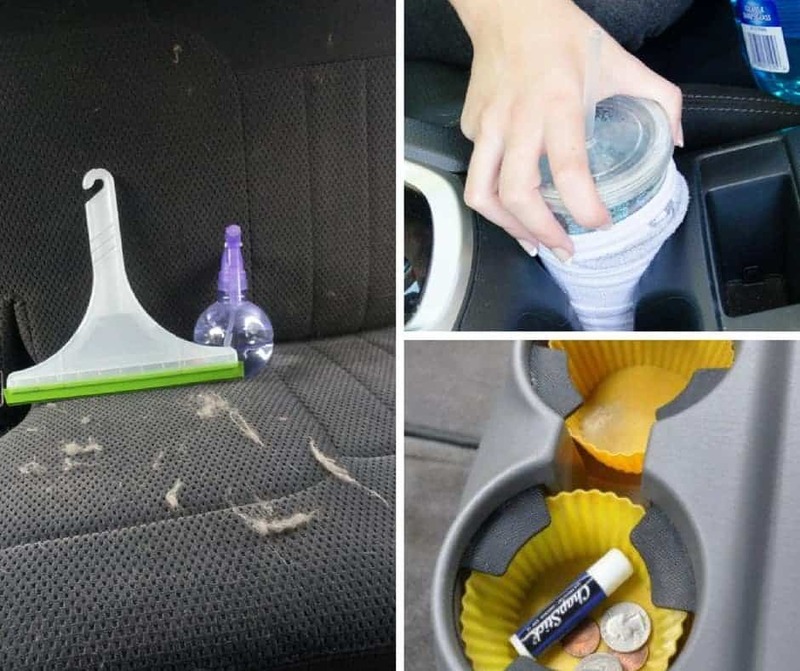 Cup holders might be the hardest place in the car to get clean. 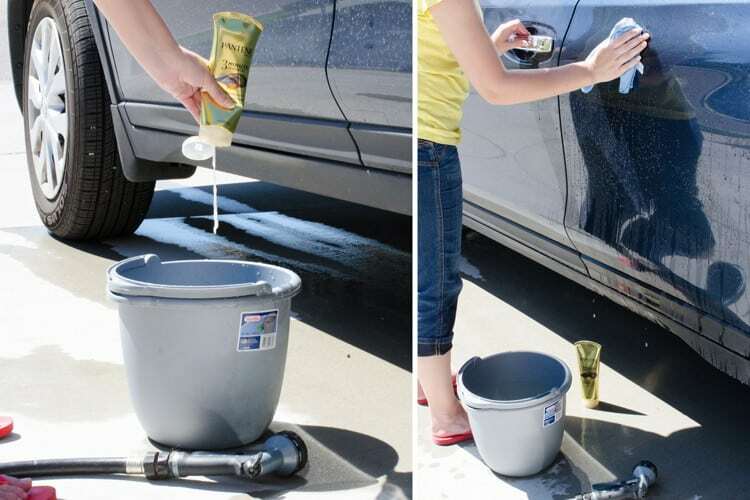 Well not anymore with this easy to use car cleaning hack. Grab a travel mug, old sock, and Windex. 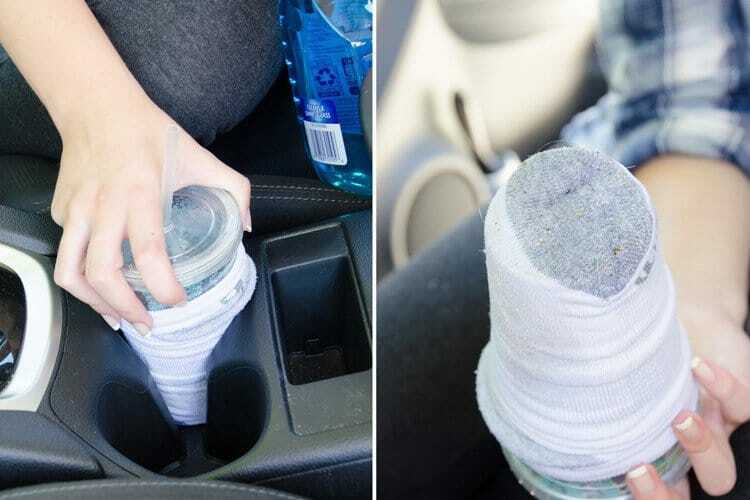 Spray the bottom of the sock and go to town in that nasty cup holder. Your cup holders will be sparkling clean. 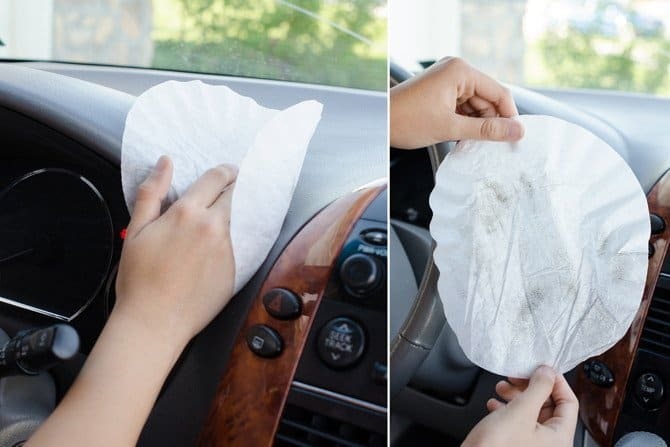 If you have kids this should be one of the first things you implement in keeping your car clean. I remember leaving a soda from Mcdonalds in the car during the summer. Let’s just say my dad making me clean it up was the first and last time that ever happened. It’s mind blowing how many different cleaning products have multiple uses. 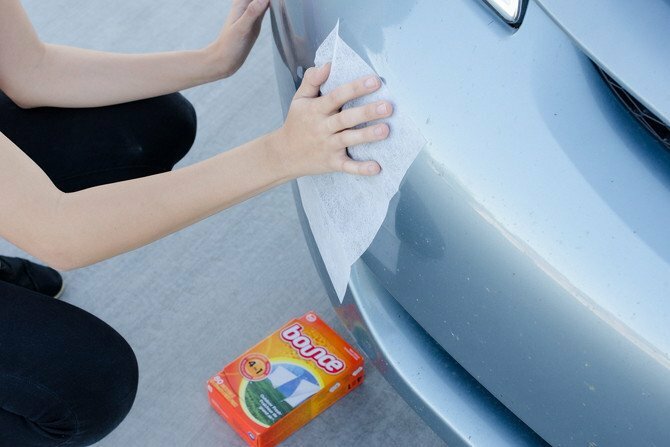 Those bugs splattered on the front of your car don’t stand a chance against dryer sheets. Last, but not least it’s important to make your car smell good after all that cleaning. Grab yourself a clothespin and drop 5-10 drops of your favorite essential oil on it. 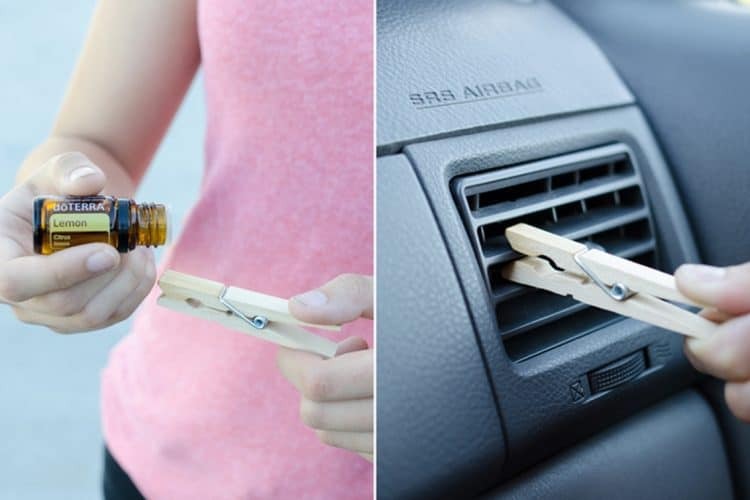 Attach it to your air vents and let the beautiful smell fill your entire car. Cleaning and taking care of your car does not have to take you hours upon hours. 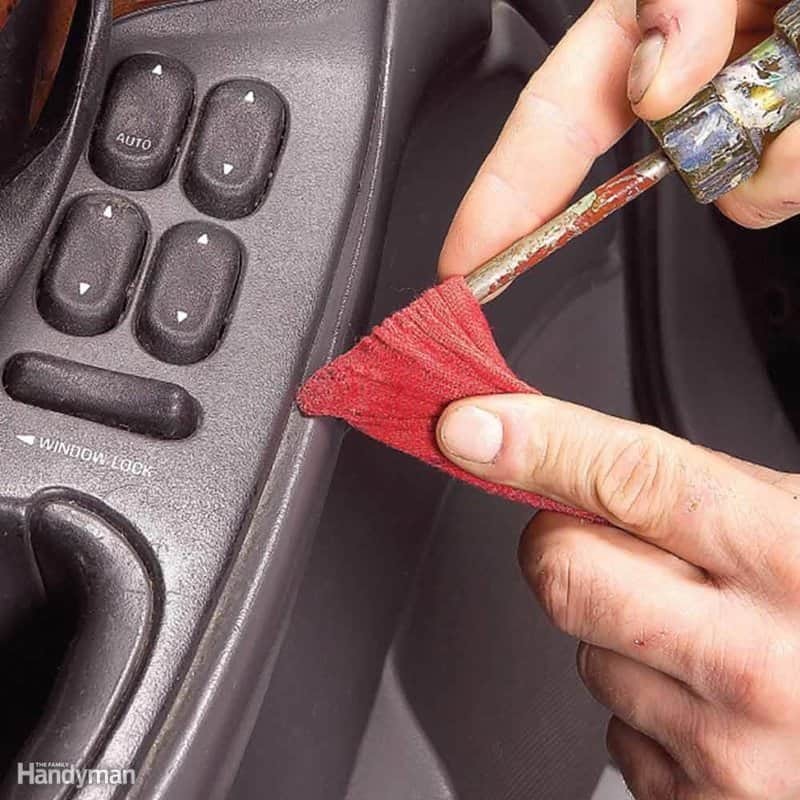 Using these tips and tricks will make cleaning your car a breeze. My biggest suggestion is to take the time to clean more often. When you let it go for a long time you will avoid it more and more because it becomes more of a chore and time commitment. That is one dirty air filter. Also don’t forget the cabin filter. This helps keep down the smell and mildew when using the AC and heat. It is found behind the glove box in most cars. The brush and vacuum combo is pretty epic!! Beleive it or not the air filter at the top is a cabin filter. Probably has never been changed before hahaha.